As some of you may know, the lovely beauty above about is out. I will be getting this novel soon! I am very excited! I will be reading this in September, it is on my TBR list that will be up tomorrow (September, 1, 2015). Since I haven't read this book yet, I can't tell you how much I love it. But Library_Luv can! (Click here to see her review of Air Awakens) my review of AA will be out soon, but make sure to check out Library_Luv's review! She has a lot to say about this novel, and I 100% trust her choices in books. Vhalla has always been taught to fear the Tower of Sorcerers, a mysterious magic society, and has been happy in her quiet world of books . . . more. I just wanted to tell you all that this beautiful book is out, I hope the book is as amazing as it's cover! Still can't get over how beautiful the cover is! 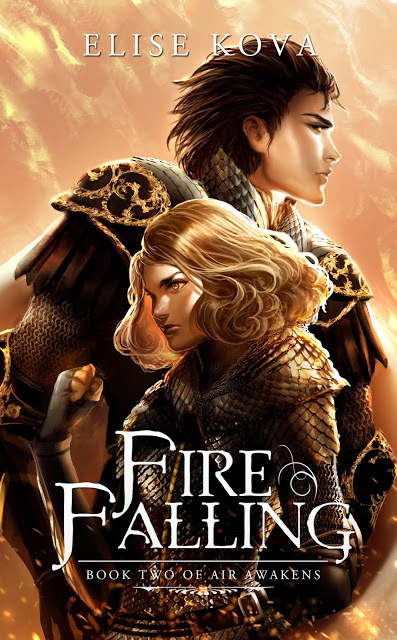 and the cover for Fire Falling, also amazing. OH! and before I forget! on goodreads there is a fan-club for this book! and Elise Kova is in it, and if you have any questions about her novel, go on any of her social media accounts, or goodreads fan-club to ask her any questions you have! 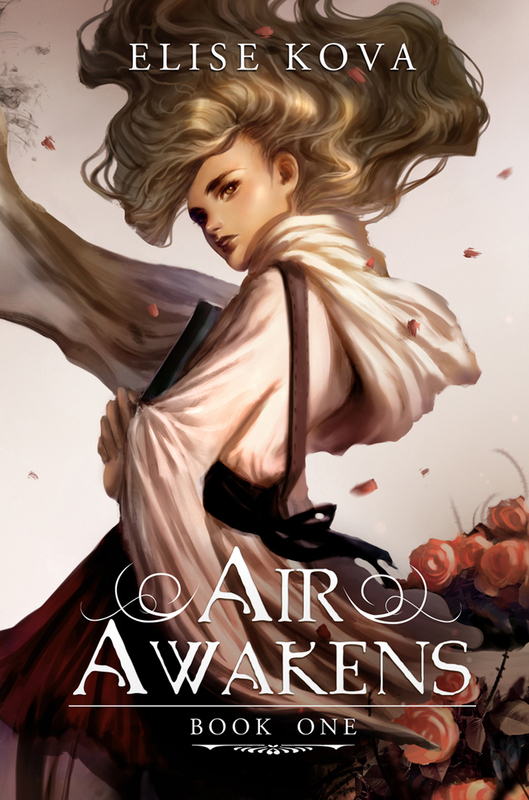 Goodreads fan club - Air Awakens fan club here! I think that is it, so go over and follow Elise on twitter, get her book, read it, love it, enjoy it . . . I may be going to far. Just enjoy it and join the fan club on goodreads, Luvs.